Through over 10 years of producing the annual Report on Illinois Poverty, IMPACT has become the established source for data on poverty issues. Our work successfully resonates with elected officials as well as non-experts due to our effective way of communicating otherwise complex and confusing data. 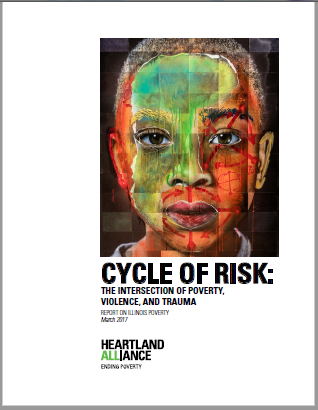 Through this report, “Cycle of Risk: The Intersection of Poverty, Violence, and Trauma“, we have uncovered various findings that demonstrate that both poverty and violence often derive from the same causes. These findings also show that the unaddressed trauma that exists in impacted communities directly feeds into further poverty and violence. Visit our archives to read reports from prior years.